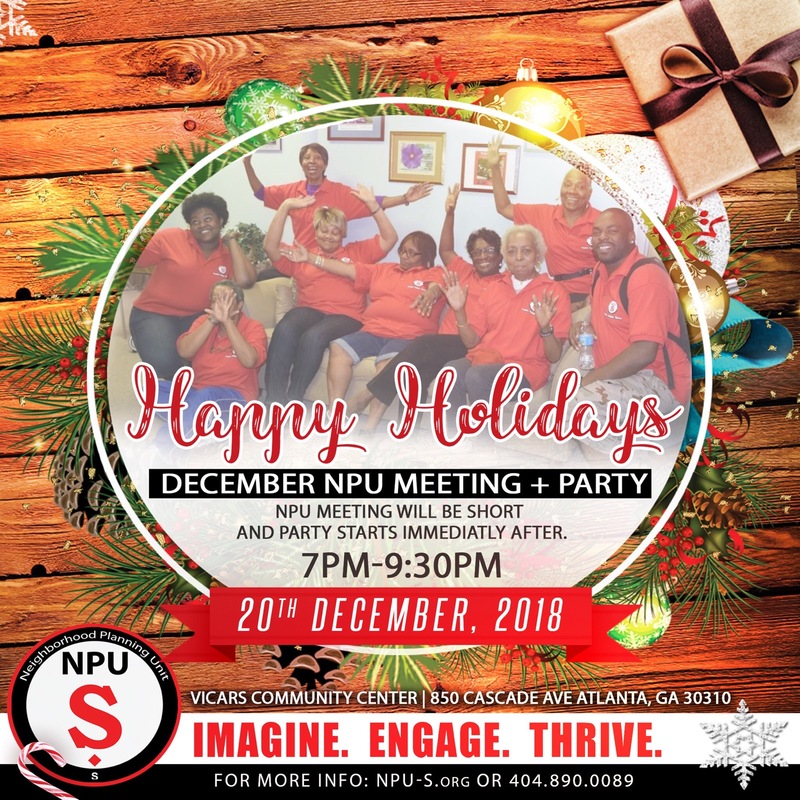 It's been a busy year and we're taking a little time to celebrate - come on out and join your neighbors and elected officials at our December meeting! Yes, we're still holding the meeting, but it's scheduled to be super short, no more than a half hour. Then it's time to party! For more information, call 404.890.0089 or email info@npu-s.org. Spots in the institute are limited, so learn more and apply by 5:00 PM EST December 21, 2018. 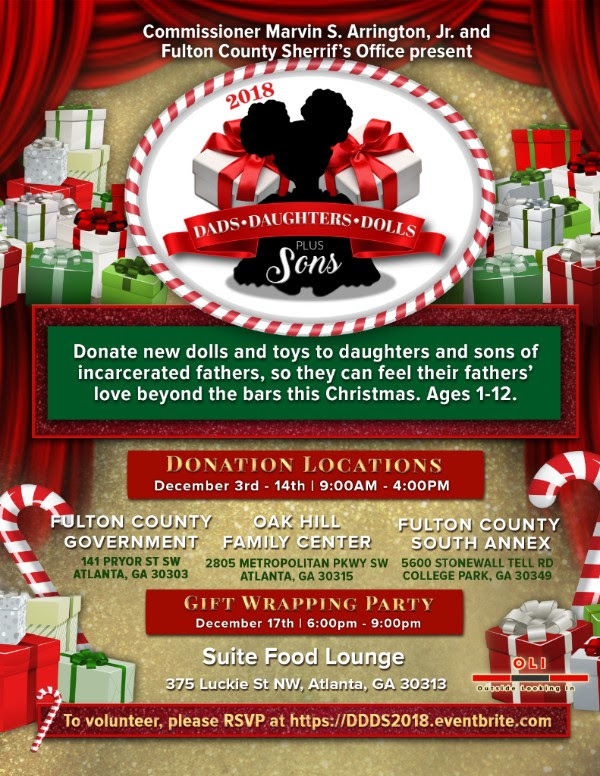 My office in collaboration with Fulton County's Sheriff's Office and community partners are collecting new toys for children whose fathers are incarcerated during the holiday seasons! There are three drive locations where you may donate toys. These locations are open 9:00am to 4:00pm, Monday thru Friday. The last day to donate is tomorrow Friday, December 14, 2018. 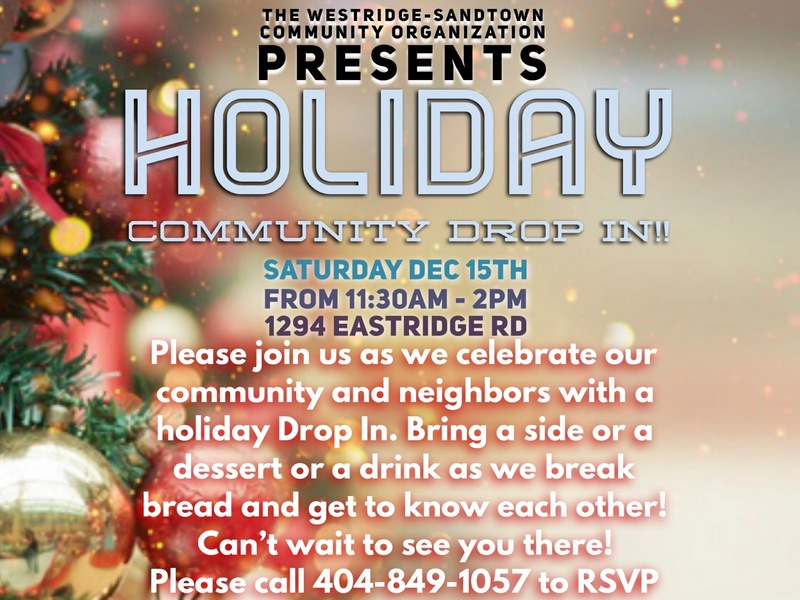 On Monday, December 17th, 6:00pm-9:00pm, we will wrap gifts at the Suite Food Lounge, 375 Luckie St. NW, Atlanta, GA 30313. To volunteer, RSVP: http://DDDS2018.eventbrite.com. We also need gift wrapping bags, paper, scissors, and tape. For more information, contact Mitsah.Henry@FultonCountyGA.gov. The Department of City Planning is undertaking a study to determine how Atlanta’s natural resources should be protected, restored, and enhanced. We need YOU to weigh in on the data findings and initial recommendations. The same information will be discussed at three different times, pick the one most convenient to you. "The 4-month long civic university is a pilot program of Atlanta BeltLine, Inc. that will explore the history, vision, programmatic elements and implementation strategy of the BeltLine. BeltLine U consists of 8 sessions facilitated by staff of the Atlanta BeltLine, Inc. and its project partners. Graduates will have in-depth program knowledge that they can then share with others in the community."